Barbara Kiwempindi – Council Member, Education. Niraj Jain – Council Member, CPD. Mike Mabika – Council Member, Finance. Raphael Thole – Council Member, Inspectorate. Cypriano Mwale – Council Member, Publicity. Peter Katwishi – Council Member, A - Registrar. 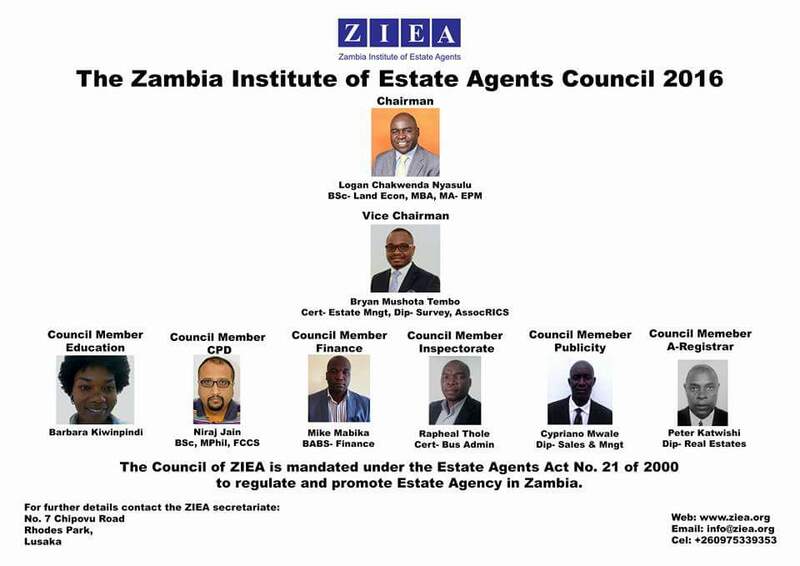 Under the leadership of the current Chair, ZIEA Council has made tremendous strides that have cemented the existence of the Institute. This is evidenced by the achievements ZIEA has made so far in its 4 years of existence.